Copyright is vested in New Forest Log Cabins. 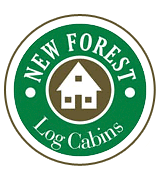 No liability is held for errors, omissions, or erroneous inferences or implications that may arise from material obtained from the New Forest Log Cabins web site. We do not offer Show Homes to look round, however, with over 300 Log Buildings Constructed in the past 16 years, we are sure to have a good example of our build quality not to far from you...!